CHANNEL ISLANDS HARBOR — Ever wanted to take a ride on a Coast Guard cutter or rescue vessel? Well, you can — at this year’s Safe Boating Expo. 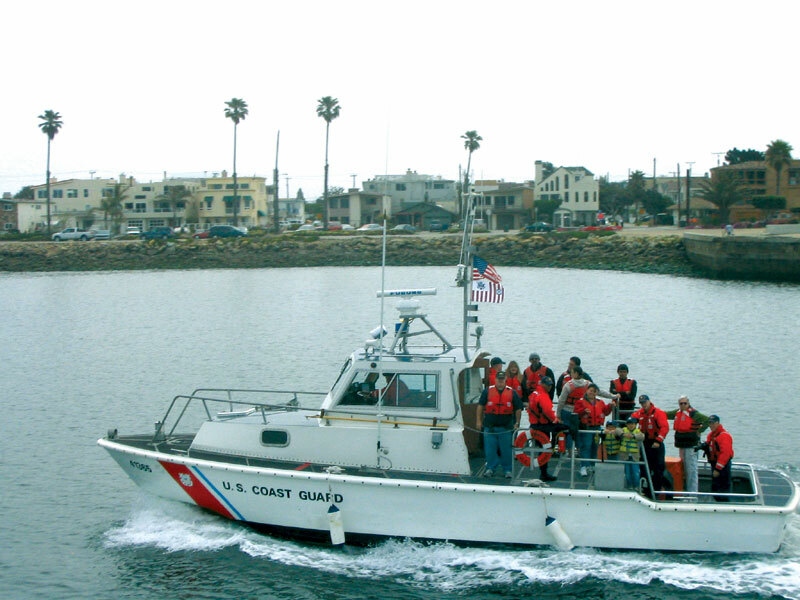 Expo visitors can tour vendor booths, take free tours and ride on Coast Guard vessels from 9 a.m.-4 p.m. May 12 at the Coast Guard station, at 4201 S. Victoria Ave. in Channel Islands Harbor. Each year, more than 1,000 visitors attend this free annual event. In addition to seeing live water, air, sea and fire rescue demonstrations, visitors can explore a variety of public agency booths and displays — including hands-on boating safety demonstrations, free flare inspection and disposal, free digital selective calling (DSC) marine radio registration, food and beverage stands, and free vessel safety exams at the public boat launch ramp. Agencies on hand with representatives talking to expo attendees about boating safety will include Ventura County Sheriff’s Rescue, Ventura County Fire Department, Channel Islands Harbor Patrol, Oxnard Fire Department, Oxnard Police Department and a Coast Guard Helicopter Rescue team. “Visitors will love the free boat rides on the Coast Guard boats: the 41-foot utility boat and the 87-foot cutter Blacktip,” said Henry Goldman of the Coast Guard Auxiliary, event chairman. Last year, more than 200 people took boat rides at this event. The seventh annual Safe Boating Expo will also stress the importance of wearing properly fitted life jackets — and how this simple piece of gear can save boaters’ lives. A study released in 2009 found that drowning was the cause in two-thirds of all boating fatalities, and 90 percent of all drowning victims in recreational boating accidents were not wearing a life jacket. Thanks to California State University, Channel Islands and a grant from the California Department of Boating and Waterways, free life jackets will be given away to Safe Boating Expo attendees. “Last year we gave away 90 life jackets worth about $2,800 retail, to reinforce the motto “Wear it: Don’t stow it,” Goldman said. For more information, call (800) 704-5620 or (805) 382-3007 — or check out Safe Boating Expo — Channel Islands on Facebook.